The Cassandra Voss Center was built in 2013 to honor Cassandra J. Voss, whose life was cut tragically short in 2007. She was on track to be the first St. Norbert student to complete an individualized major in women’s and gender studies. The center is a vibrant and collaborative learning environment for the study of women and gender. It also is a testament to the love of her father, Kurt Voss, whose vision and will led to the renovation of this historic building and turned tragedy into an enduring treasure. The project began when Kurt found a dilapidated 130-year-old church on campus, where beautiful wooden beams and other distinctive architectural elements were hidden behind drop ceilings and old plaster walls. His goal was to restore the architectural and spiritual roots of the building, and to strike a perfect balance by marrying old world charm with a contemporary feel. To that end, the new furnishings within the building are a mixture of new modern design with older antique design to help strike that delicate balance between the two seemingly opposing design and architectural concepts. Two areas were chosen to bring the light in, utilizing the former bell tower and the front atrium, each with its own particular needs and components. space year-round, reducing both thermal loss in the cold months and solar heat gain in the warm. 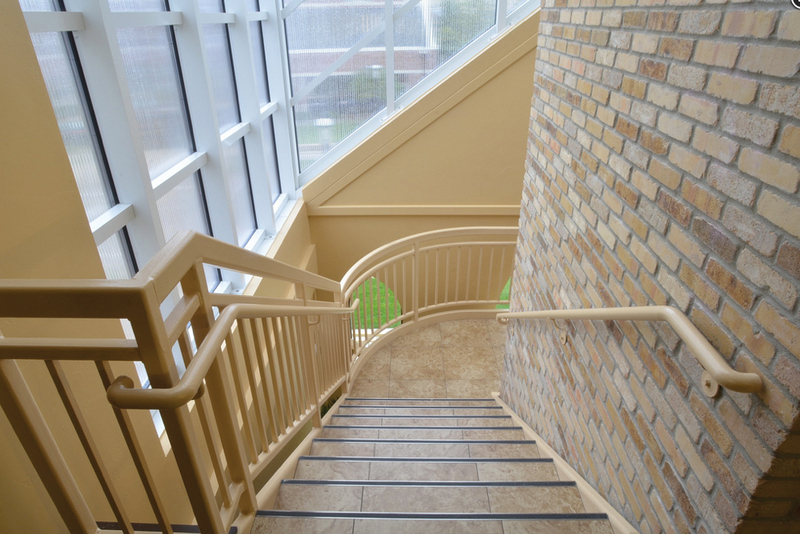 Front Atrium: The staircase was relatively close to the vertical panels, so they hoped to maintain a visual connection with the outdoors and the campus. As part of this team effort, Wasco donated design, installation, and materials to help transform this beautiful space. 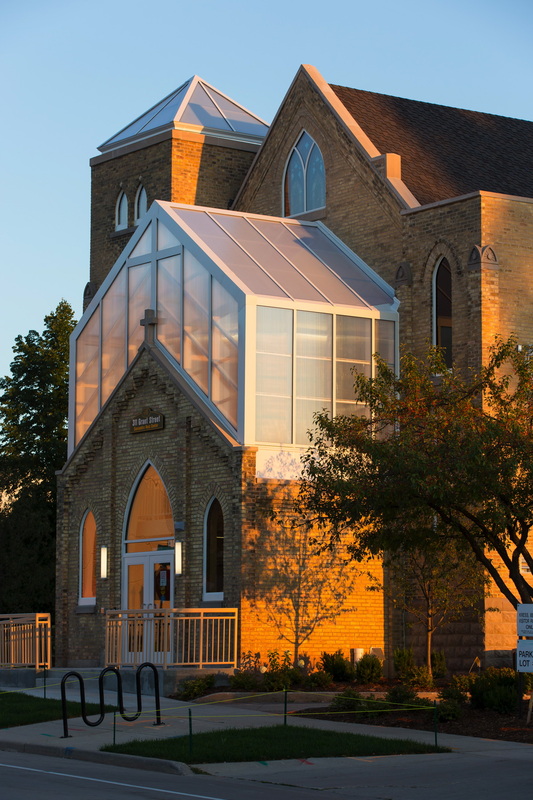 “Precision engineering is critical in preventing moisture and thermal heat loss when renovating pre-existing structures, especially an old church built in 1883” said Kurt. 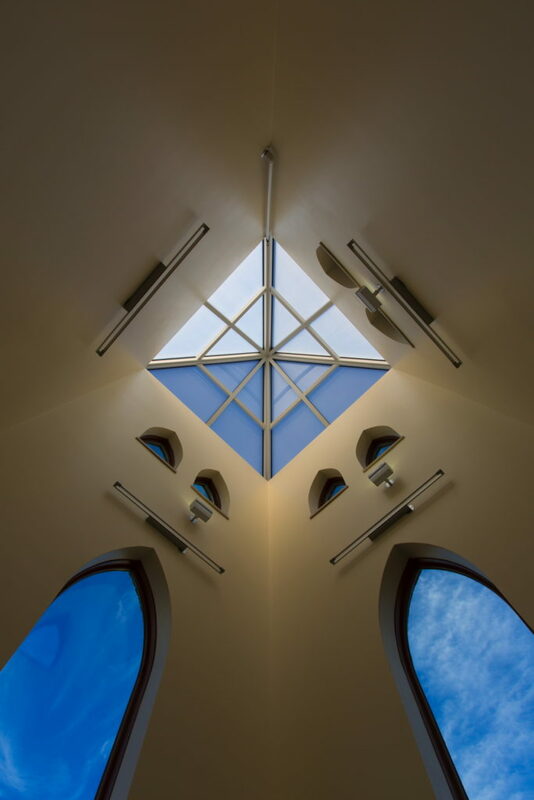 An 8’ x 8’ square pyramid Horizon S-Series translucent polycarbonate skylight with the Pinnacle 350 framing system was chosen for its narrow profile, clean lines, and its leak-resistant continuous sill around the entire perimeter that guards against air infiltration and water intrusion. The 16mm clear polycarbonate panels filled with Lumira® aerogel were chosen to provide the high-quality diffused light and the superior thermal performance necessary for year-round comfort in this meditative space. 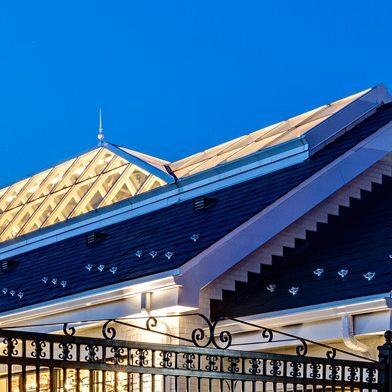 The atrium was designed with S-Series Pinnacle 350 double pitch skylights glazed with 25mm clear polycarbonate panels, also filled with Lumira® aerogel. 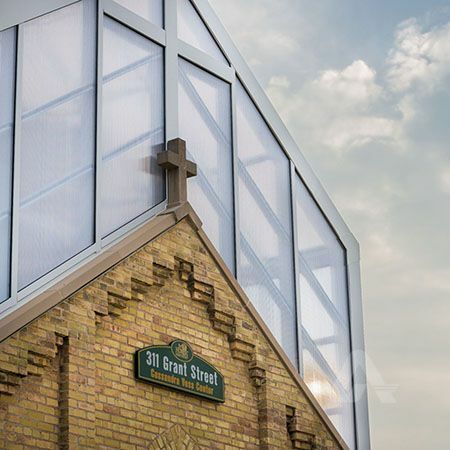 To maintain a visual connection with the outdoors, the atrium walls were designed with the Horizon V-Series translucent wall system without aerogel fill. “The Cassandra Voss Center is about reflection but also connection to nature, the campus and to each other. We chose not to fill the side atrium panels so when you walk the staircase you can see and feel the world around you.” said Kurt. The Cassandra Voss Center provides a vibrant and collaborative learning environment for the study of women and gender and enables the cooperation of all persons in the creation of more just and inclusive communities. 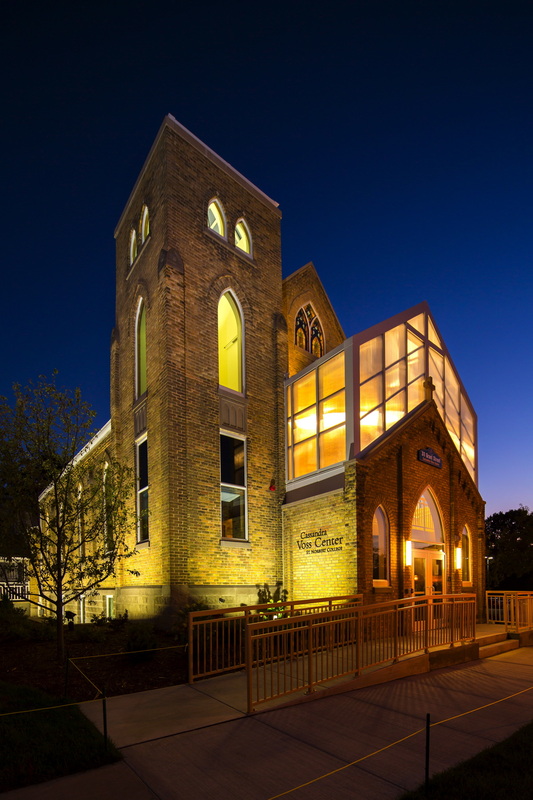 The building includes classrooms, a performance space, a full kitchen, offices and a reflection space in the former church’s bell tower. The center offers campus-wide programming for students, faculty, and staff members around a variety of topics focused on respect, dignity, and mutual care.